The Original Tenor showcases the classic Lakey bright sound. Handcrafted for quality, this staple member of the Originals collection was designed by Claude himself to help players reach new highs and lows on their Tenor. 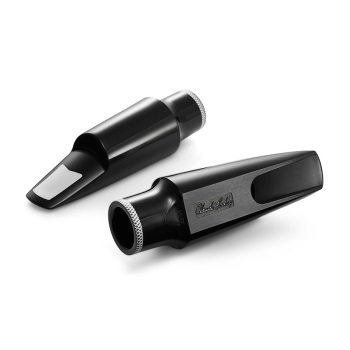 The innovation poured into this piece pioneered a better Jazz mouthpiece that can give you a great range with lots of freedom. While traditionally Lakey pieces have been known for their work in Jazz ensembles, that's not the only genre where you can find this piece useful. The Original Tenor sounds great in rock, funk, or house music settings as well. The bright, crisp sound can be heard cutting through an ensemble, or blending in to a small section. The versatility and control you have with the Original Tenor is astounding, and you will soon find it is your favorite piece to play in multiple settings.